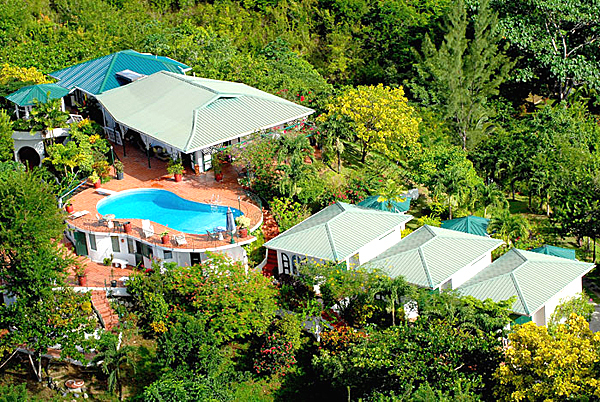 Top O’ Tobago’s name is so apt – a roomy, pretty accommodation with incredible 360° views around the island and being high up, benefits from the oh-so-welcome breeze in the tropical heat. 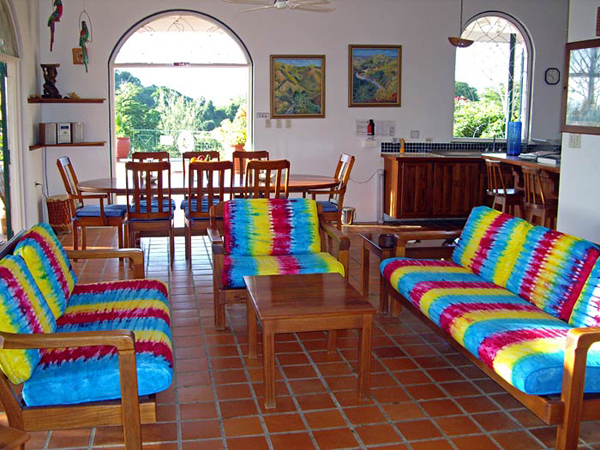 There’s a main villa and 3 cabanas, with a pool and numerous patios and gardens directly outside your doors, with fantastic views and seamless living between the indoors and outdoors. 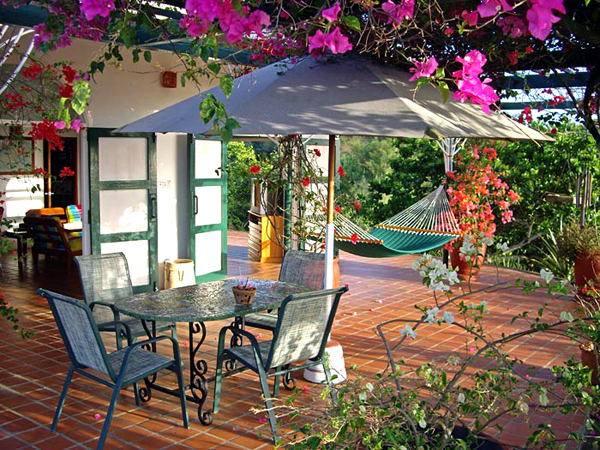 The main house, swimming pool and 3 cabanas are located on the ridge of a hill overlooking the southwest Caribbean coastline of tiny Tobago. Each of the buildings is located at a different level on the hill. The views are second to none. 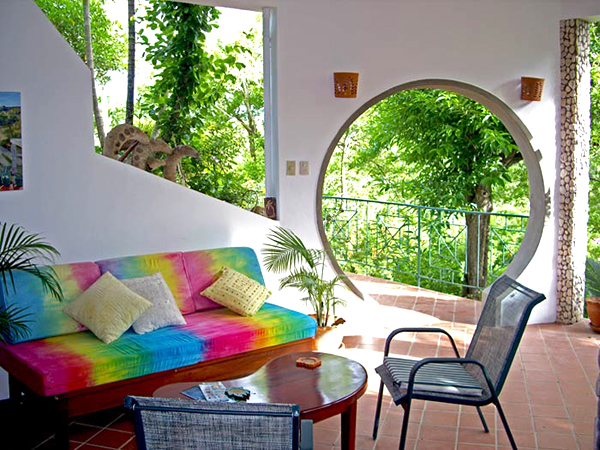 You can enjoy 6 acres of flower gardens, fruit trees, jungle vegetation and walking paths. It takes 7 minutes to walk to one of Tobago’s best snorkeling beaches on the island at Arnos Vale, 25 minutes to drive to Tobago’s airport, or to the tourist facilities on the south end of the island or the fishing villages on the west coast. 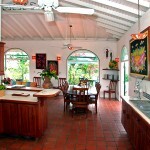 The main house is a full family home with two bedrooms and a den, each with their own en suite bathroom. 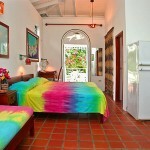 One of the bedrooms – the twin bed room – has the benefit of air conditioning. 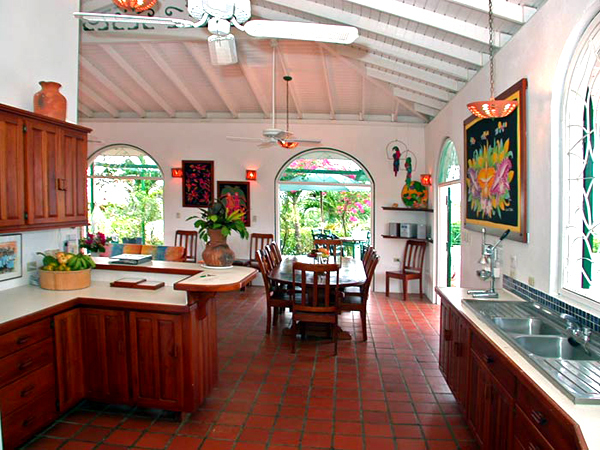 The property is surrounded by 4 private patios which open to make a larger living space that just flows from in to outside with flower drenched tropical colours. 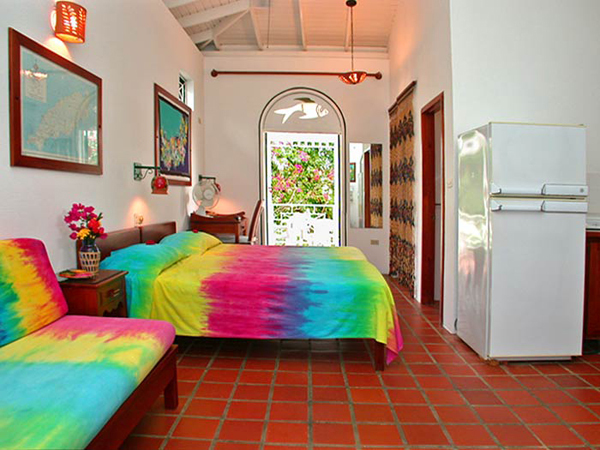 You have a breathtaking 360° view of the surrounding Caribbean Tobago coast, hills and valleys. Each cabana is a fully self-contained living suite with its own kitchen and dining facilities, air conditioning, patio and garden, and access to a swimming pool. 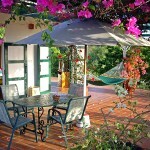 There’s a BBQ and separate BBQ patio for your cooking and dining pleasure. 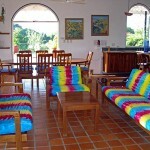 You can borrow snorkeling and beach gear and other entertainment devices while you are at Top O’ Tobago. The reliable and efficient manager, Silja, lives onsite, and will pick you up from Tobago’s airport and help you plan your vacation. 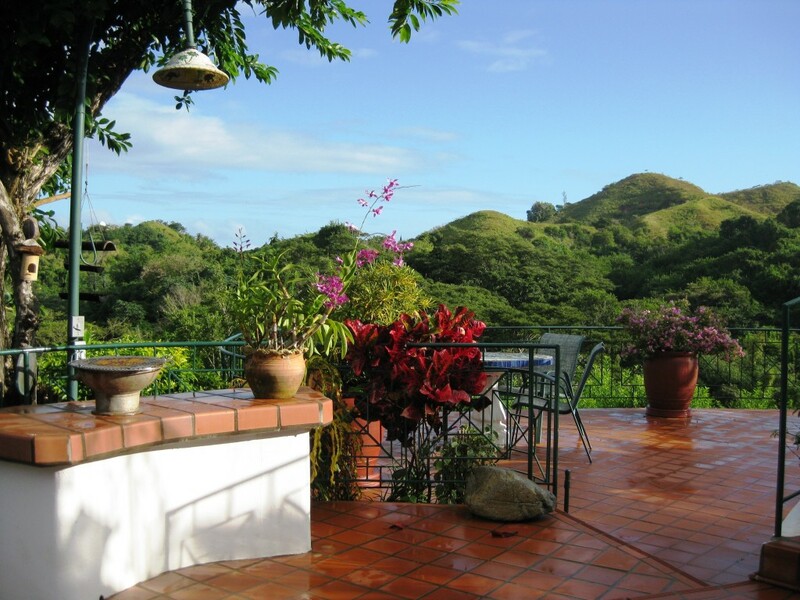 Sitting within 6 acres of land, with flower gardens and pathways for lovely walks around lush Tobago, the villa and the cabanas can be booked separately or individually, making them perfect for a family get together or a holiday with friends. 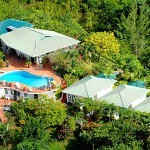 This is a part of Tobago that is particularly and green, quiet, unspoilt and known for its fabulous bird and wildlife. You really can get close to nature here. 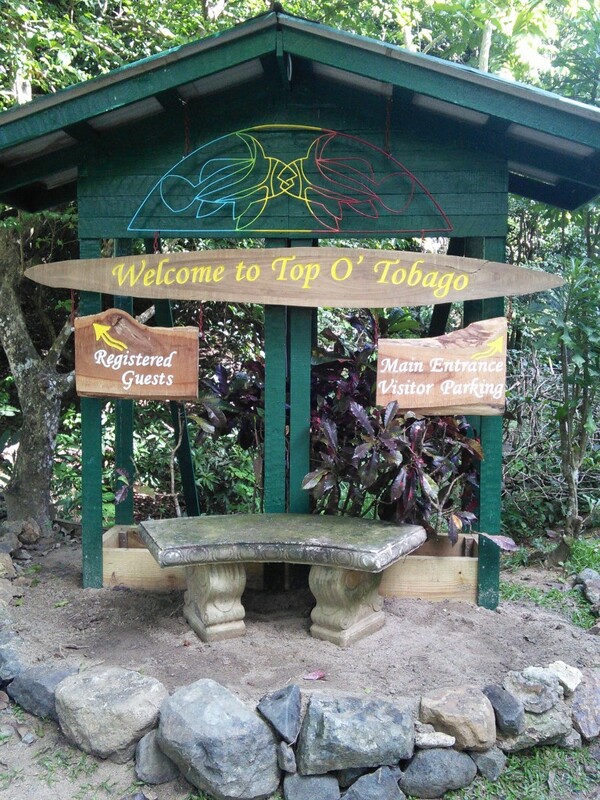 The service at Top O’ Tobago is legendary. 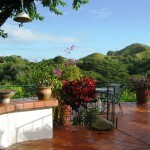 The onsite manager, Silja, lives on the property to take care of your needs. 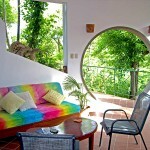 For reviews from previous guests, see here. 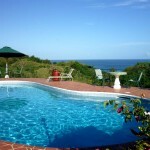 Arnos Vale Beach – closest to us, is well-renowned for its incredible snorkeling. The start of the 10 km Mot Mot hiking trail is a 3 minute walk away. The village of Plymouth is a 10 minute walk away too. There are other little secluded beaches within walking distance, and the island’s best known beaches on the south and west are a short drive away. 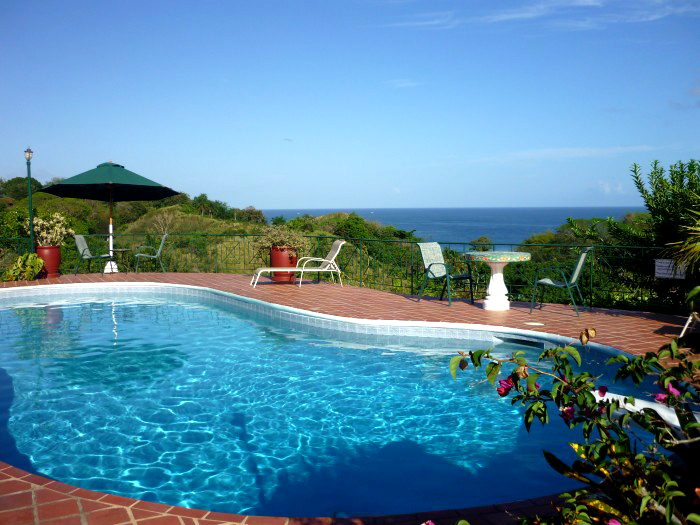 Do please quote Simply Tobago when you make your enquiry. Thank you. 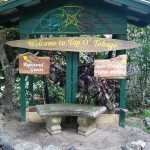 © All images are the copyright of Simply Tobago Ltd, its affiliates and partners, and the Tobago Division of Tourism & Transportation and cannot be used without permission.